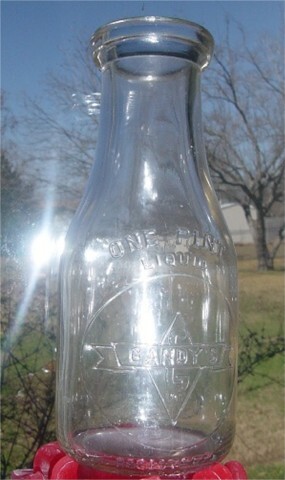 To learn more about the Gandy's in Amercia we began collecting everything that we could find with the name "GANDY" on it. It now has become our hobby. We share some of our findings here. 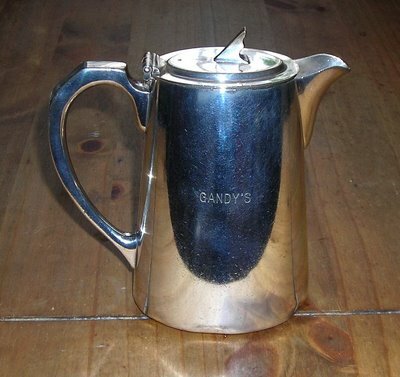 If you have an old Gandy antique please let us know. The old Gandy Ice Cream Maker to the right was found in New York and bought at an EBay auction. 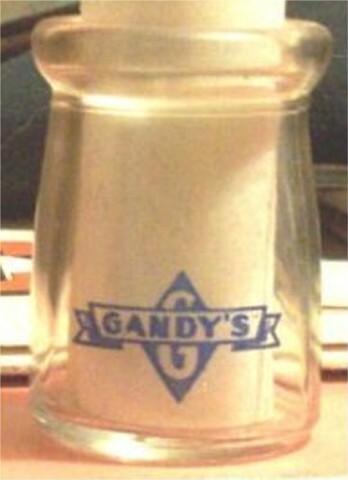 This Gandy Ice Cream sign was found in Florida. 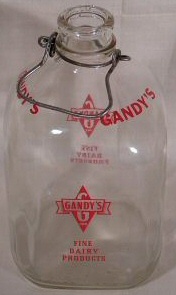 It has the same logo as the Gandy Dairies in Texas. 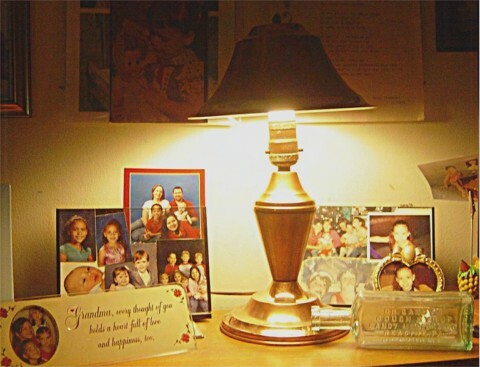 The following old pictures are hung at Gandy Hall. This beautiful picture was drawn by Herbert Gandy of England is titled "Love Token". It was discovered in an old Magazine in 1800s. 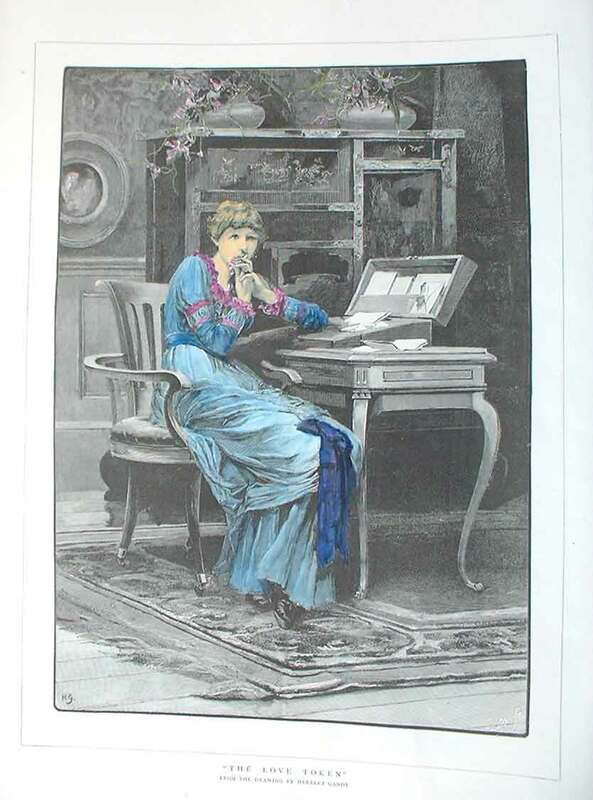 1) Advertisement above left was printed in 1898. 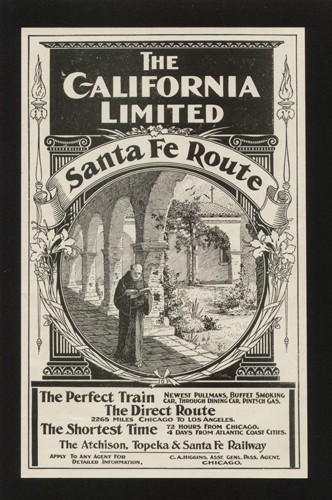 The size is 5 ¼ x 8 ¼ (Original Athchison, Topeka & Santa Fe Railway Advertisement: The California Limited - The perfect train) C. A. Higgins, Asst. General Passenger Agent, Chicago Art signed, C. Gandy. 2) The Indian boys advertisement for Santa Fe Railroad was published in the Schribner's Magazine in 1899. 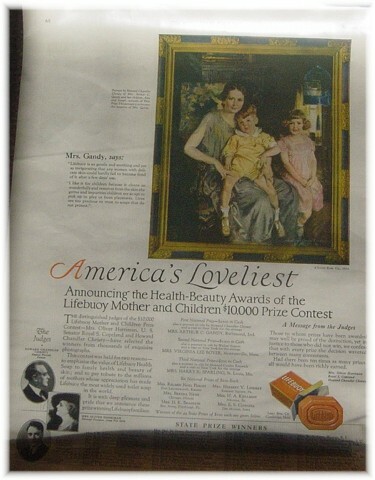 Mrs. Arthur Gandy and her children won a Lifebuoy contest. Their picture was publiched in the Ladies Home Journal in 1924. The old leather business card holder was found in New York. 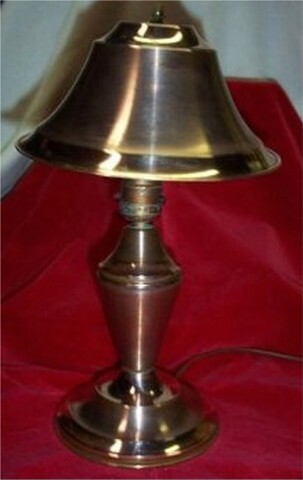 It has a gold imprint with "Gandy 1929" on it. 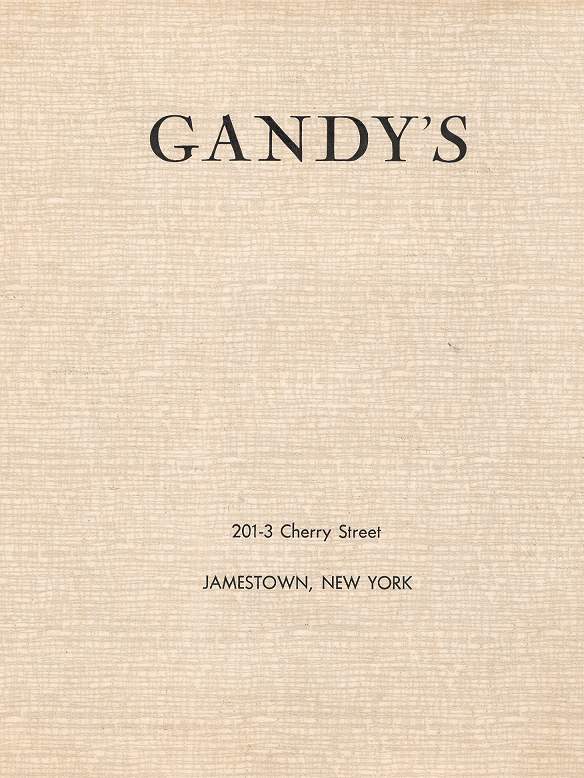 We found a business directory listing a Gandy Leathering Co in New York. is 14 " tall with a 7 1/2" wide shade. This famous restaurant was operated by the Russell family for over 33 years. It specialized in Seafoods, Steak and Chops. beautiful Chautauqua Lake and the World Famous Chautauqua Institution. 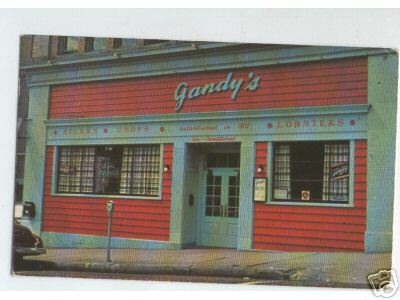 An old seafood plate and menu from Gandy's was also found on EBay. 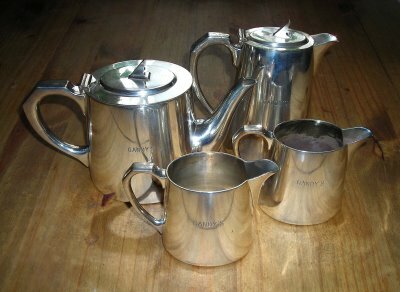 Serena from London bought this charming teaset on EBay. The owner did not know anything about it's history. If you can add some information on where this set came from please email Serena. You can visit her wonderful webpage called The Crooked House and see her beautiful collection of tea cups and art.